Q: How many VHS tapes fit in your prepaid fill the box option? A: You should be able to fit up to 14 standard VHS tapes in the box for $245. We will accept any combination of VHS, VHS-C and Hi8 tapes up to amaximum of 14 tapes in each box. Once you place the order, we will ship you the prepaid shipping box to fill. Simply drop it off at your local USPS location for delivery. Q: What are the specifics of the prepaid fill the box option? A: For $245, we will ship you a box for you to fill with your tapes to transfer to DVD. We will ONLY accept standard size VHS, VHS-C and Hi8 tapes for this service. No 8mm reels, BetaMax or any other type of videocassette is valid with this option. Any video included in the box that is not a meet these requirements will be returned with your order without transfer and no credit will be issued. Additionally if you send a damaged for copyrighted VHS tape, it too will be returned without copying and no credit will be provided. Make sure not to send any professionally produced VHS tapes, such as recorded television programs, theatrical motion pictures, etc. If organized properly, you should be able to fit up to 14 standard VHS tapes in the box. Once packed, simply drop off the box at your local USPS location for delivery. When your order is complete, the DVD's and tapes will be shipped back to you. We do not, nor will not, dispose of your old VHS tapes. Q: Can you combine more than one tape to one DVD? A: No, each tape is transferred to one DVD. Q: Can you make a DVD of a VHS video movie I have bought at a store? A: Due to copyright laws, we cannot transfer any movie that is copyrighted including commercial movies, concerts, sports events, TV broadcasts without written permission from the owner of the copyright. While under "fair use" regulations, you yourself are allowed to make backup copies, we cannot offer this service as a business charging money for our service. It is illegal for us to do so. Before having ScanMyPhotos.com transfer your VHS tape to DVD, you agree to indemnify our company of all copyright restrictions. You agree not to have us violate any copyright laws. Your personal movies that are not copyrighted are ok, but if you have anything, from TV shows, theatrical movies, or anything that you do not own the rights to make sure not to send it to us. We are serious and honor all copyright laws. Q: Can recorded DVD's be played in my DVD player? A: Most DVD players can play DVD-R's. While nearly most new models can play recorded DVD's, we ask that you please check your player's specifications before placing an order. We do not offer refunds because your DVD player does not play recorded DVD's. Q: What video format are my tapes converted to? A: Our video to DVD transfer DVD's are in a VIDEO_TS format, designed to be played in your home DVD player. VIDEO_TS files contain video, audio, subtitle and menu contents multiplexed together into a stream form and thuse are not designed to be edited in on your home computer. You will need software such as HandBrake that can convert VIDEO_TS files to another format such as MPEG or AVI. Q: What videotapes formats can you convert to DVD? A: We accept standard VHS, mini VHS, VHS-C, and Hi8 NTSC format tapes. Q: Can you convert PAL videos to DVD? A: No, we can only accept standard VHS, mini VHS and VHS-C NTSC tapes for transfer to DVD. Q: What if my tapes are encrypted? A: We cannot duplicate any videos if they have encryption on them, regardless of whether they are your own tapes or not. We cannot legally break the encryption due to copyright laws and our equipment will suspend all such transfers immediately. No refund, full or partial, will be given to prepaid boxes for tapes that are sent with encryption. Q: If I have more than 14 VHS tapes, can I reshape the bulk transfer box so they fit? A: No. We will only accept up to 14 standard VHS, VHS-C or Hi8 tapes. If organized properly, you should be able to fit 14 standard VHS tapes into the box. However, if you have more than 14 VHS tapes, please order additional boxes. As noted on the USPS website, the provided USPS Priority mail Flat-rate box The contents of the flat rate box must be neatly contained inside the box with adhesive packaging tape, the box must close securely and retain its shape when taped with adhesive and the shape of the box may not be changed or enlarged to fit its contents. Q: I am worried about the quality of output movie. Does conversion from VHS to DVD degrade the quality? A: Unlike video duplication of the past, digitizing your VHS movies to DVD can improve the quality of the picture (though not guaranteed). While this is not a dramatic improvement, nor do we offer any additional movie cleaning, the process of converting analog to digital format does bring some noise filtering. As with anything though, the higher the quality of the original, the better the quality of the conversion. An	important	note: the longer your video is, the more we will need to compress it to fit on a DVD. For the best quality, a tape should be 2 hours or less. Q: Why is there a limit of 2 hours per disc? Can you transfer longer videotapes? A: While it is possible to fit more than 2 hours of video on a DVD, we prefer not to because of quality degradation. In order to fit more data on a DVD-R more compression is required. MPEG2 compression used in DVD's is lossy: the more you compress the lower quality you get. We can transfer longer tapes to DVD but we do not advise it and the quality of the transfer will suffer the longer the tape. Q: What happens if the quality of my tapes is too poor to copy onto a DVD? A: Please review your tapes prior to sending, as we do charge for the service whether the quality of the tape is good or not. If we are unable to view, play or copy your tape, you are still charged for the service. Q: After conversion of the VHS tapes to DVD, can the DVD's be saved to my computer and edited? A: The DVD's are formatted to be played in your home theater DVD player, not for editing. If you have software that can convert VIDEO_TS files to another format, you would then be able to edit the movies in another program such as iMovie. Please note however that all video work is done in a PC format and data may not be visable on a Mac. It will still play but may not be editable. Q: Will my DVD be playable in other world regions? A: Yes, we create region free DVD's. but we only accept NTSC VHS tapes so VHS tapes from outside of the U.S. cannot be transferred. Q: Will my DVD be copy-protected? A: No, DVD's we record are not copy-protected. They are your movies and you can make copies if needed. Q: Do you view your customer's home movies? A: Your videos are private and we don't view videos sent to us, however we do have to view the beginning to ensure that it is not a copyrighted video to comply with Federal Copyright law and we'll randomly spot check the final DVD for quality assurance purposes. Q: Do you keep a copy of your customer's video? A: After transferring video data successfully, we erase the information from our hard drives and we don't keep any duplicate copies. Q: What happens if my order is delayed during mailing and how about guarantees? A: Upon receipt at ScanMyPhotos.com, your VHS tapes are digitally transferred to DVD. Your original VHS tape and the new DVD disc will be returned together. When shipping your own box, or ordering our prepaid, fill-the-box VHS Tape service, we recommend that upon receipt that you add other USPS Priority mail tracking and confirmation products and services - click here. However, please note, understand and recognize that by mailing us any items, we cannot and do not warrantee or guarantee delivery by third-party couriers. IN THE UNLIKELY EVENT THAT YOUR ORDER IS MISPLACED, DELAYED, LOST OR DAMAGED, YOU AGREE THAT SCANMYPHOTOS.COM AND 30 MINUTE PHOTOS ETC. IS NOT LIABLE AND THERE WILL BE NO COMPENSATION OR PAYMENT OF ANY KIND. We assume no responsibility for any loss and/or damage to client's materials while it is transported by the mail, courier, and transport companies or while in the possession of ScanMyPhotos.com. 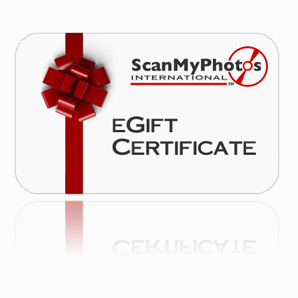 Our company is also not liability, for damage, loss, delay or irregularity to person or property in connection with any service advertised herein or by services provided by third parties over which ScanMyPhotos has no control. Click here to read full terms. Q: My question is not answered here. Where can I obtain more information? A: You may use our Live Support (banner above our service menu to the left) to instant message with an online support technician, call us at 949-474-7654 during normal business hours or email us at info@scanmyphotos.com.